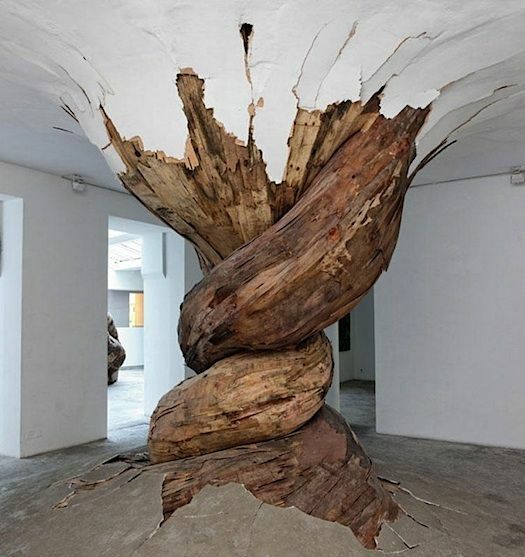 These amazing recycled wooden installation sculptures, are the genius of artist Henrique Oliveira. Created and assembled from plywood barriers which have outlived their purpose on construction-building sites. Henrique takes deteriorated plywood boards, which have lost their structural integrity and strips them down into thin layers. These thin layers of plywood, are painted with a watered translucent acrylic. This method of painting adds an interesting tone of colour to the plywood, complimenting Oliveira’s composition without the likelihood of ruining the weathered textures on the surface. 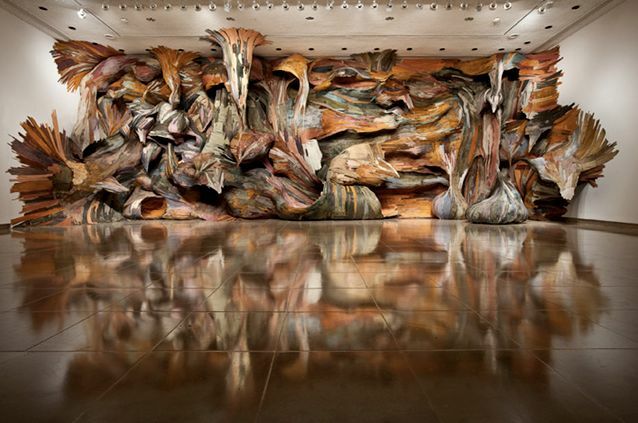 Henrique then uses these coloured layers of plywood as a veneer to his extremely large organic structure. The artist’s designs, replicating that in nature, where the plywood boards once originated. A beautiful example of transforming an environmental waste material, giving it a new lease of life by an artist’s imagination and vision, for our viewing pleasure and intrigue.